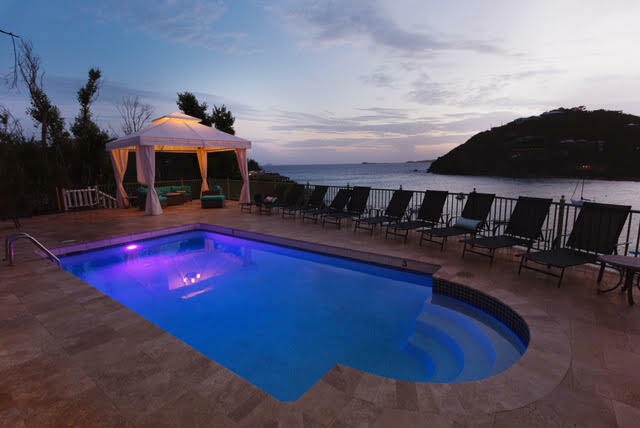 Looking for a tropical paradise for your dream wedding in St. John? 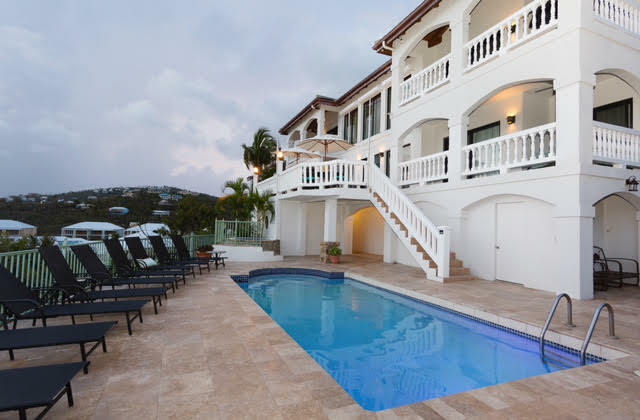 Look no further than the 6-bedroom Villa St. John. 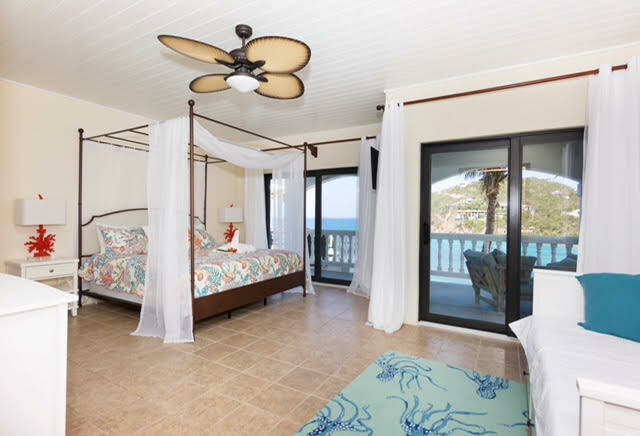 Just a few steps from a semi-secluded white, sandy beach, Villa St. John provides all you need to make sure you feel right at home. 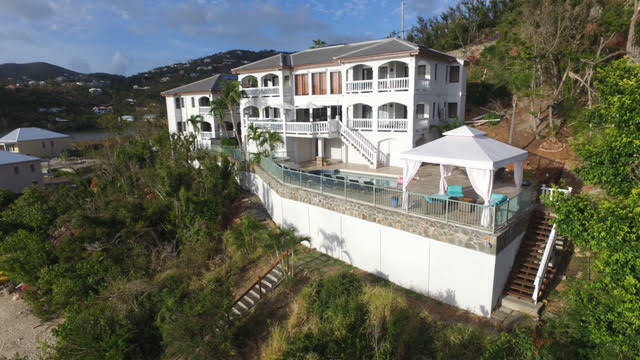 When you are having a small, beachfront destination wedding in St. John, you don’t want to deal with a large hotel, full of hundreds of rooms and twice as many people. 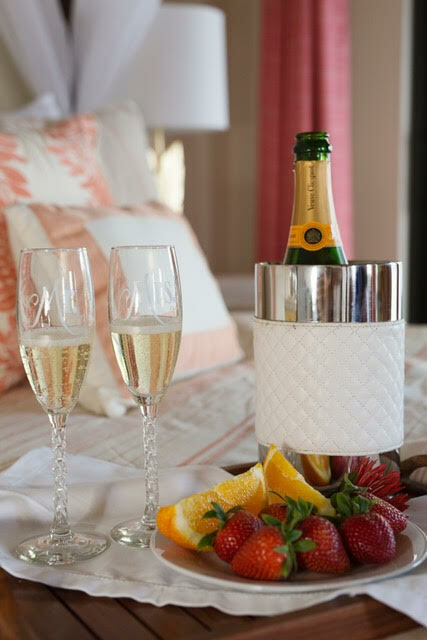 Although we don’t have all the scheduled activities of large resorts, we offer you the peace, quiet, and relaxation you are searching for when escaping the hustle and bustle for a remote wedding. 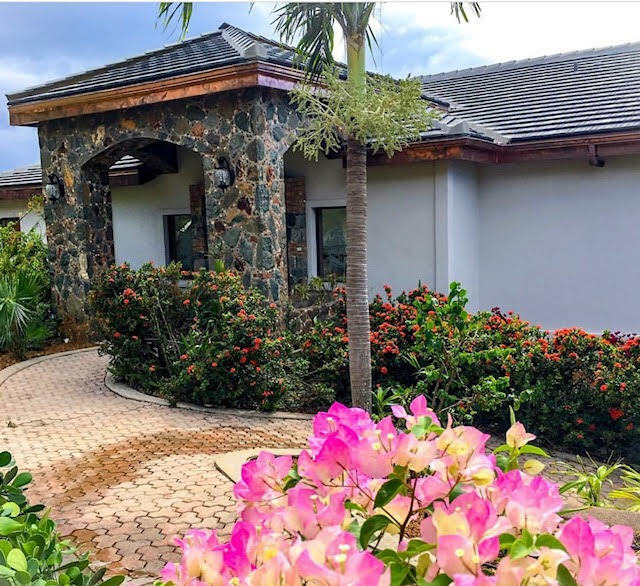 Villa St. John has two separate pods separated a small walkway featuring beautiful plants and a botanical garden opening up for fresh tropical breezes. 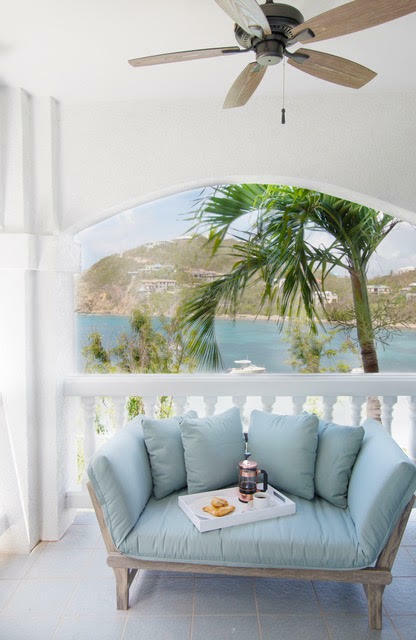 In the main pod, you can see breathtaking views of the crystal blue Carribean waters. 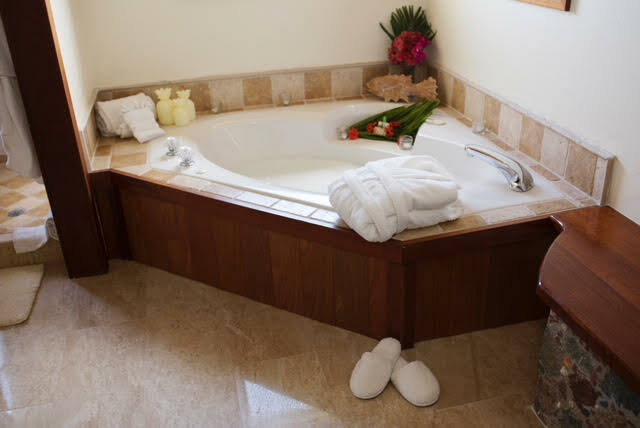 There are two master bedrooms both with their own bathrooms and semi-private balcony. 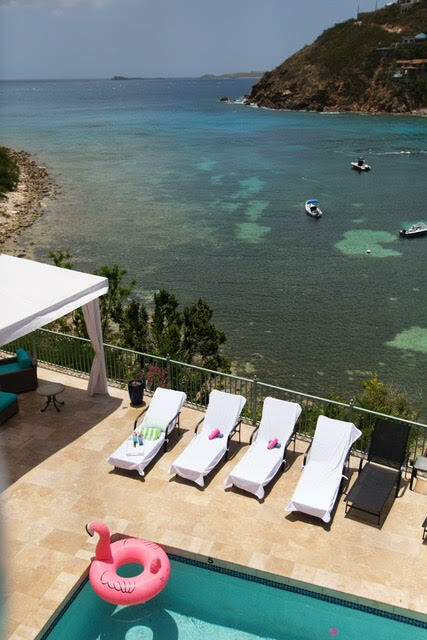 More spectacular views can be seen just outside the sliding glass doors of the common area that overlook Cholocate Hole Bay. The patio just outside is newly furnished with tables, chairs, and a retractable awning for when you need a break from the sun. 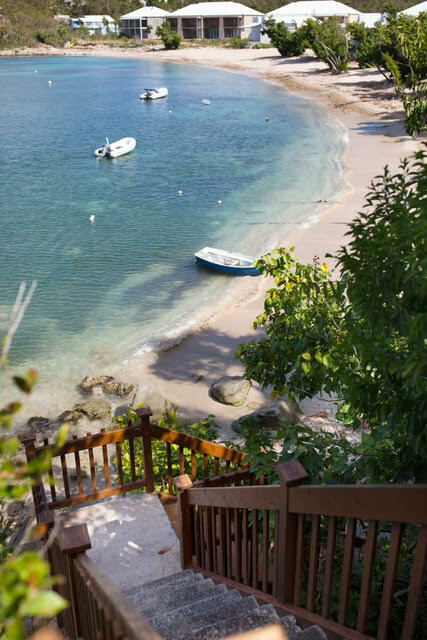 Just a few steps over, you will find the pool and a private entrance to the Chocolate Hole Bay. 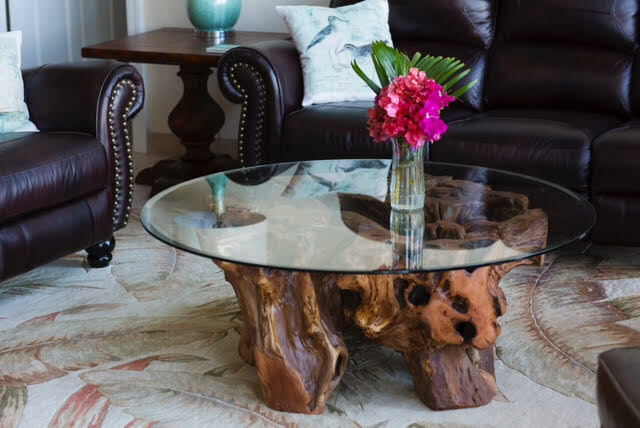 The smaller pod features a fully equipped kitchen, as well as a dining area and sitting area. 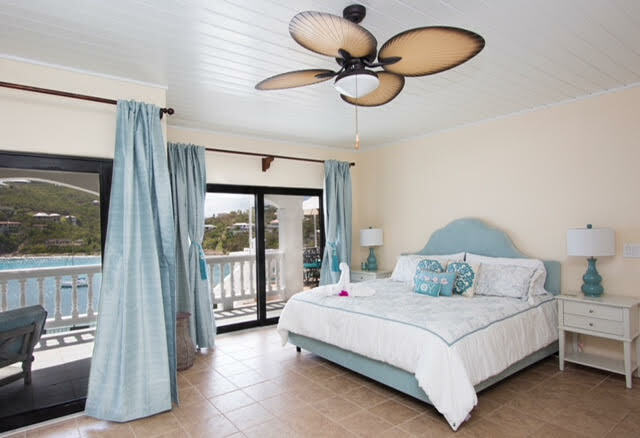 Just like the main pod, you’ll find two more master bedrooms with their own bathrooms. Just imagine saying “I Do” on a slice of America’s Paradise with your most immediate family and close friends to witness your BIG day. 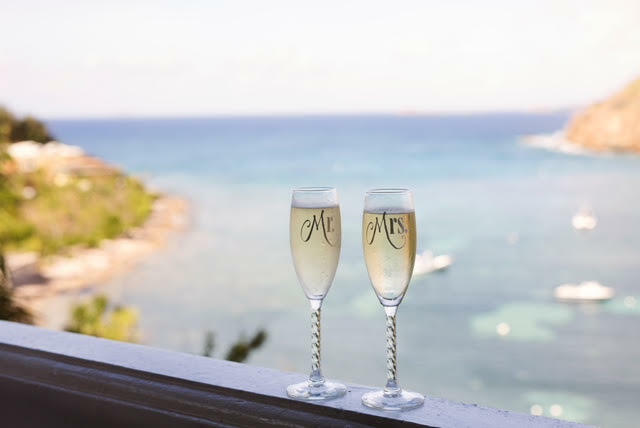 While enjoying the fresh tropical breeze, the crystal-clear waters, the soothing melody of Caribbean music, as you walk down the aisle sprinkled with rose petals to surrender your love for each other. 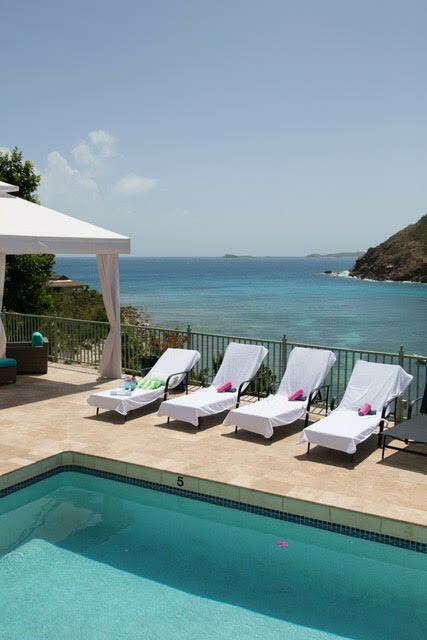 This is the ultimate St. John Villa Wedding Ceremony Package for you.